For those who did not make it to the AGM yesterday, our Chairman, Willie Keaveney, made a very comprehensive report on the work done and the success achieved by Kilmeena GAA over the past year. He detailed the achievements of 2014, culminating with Kilmeena GAA being awarded Mayo Club of the Year. The Chairman thanked all who had worked so hard and gave their time so generously to make these achievements possible, on and off the pitch. Despite these successes, there is still a need for more members of our club and community to volunteer and assist with our numerous teams and with club development. The club Lotto is the lifeblood of Kilmeena GAA and generates the funds that allow us to function as a club and facilitates our numerous teams in competition. A small number of people are asked to sell the Lotto on an almost weekly basis. If all families involved in Kilmeena GAA make the effort to sell the lotto, it will guarantee revenue for our teams and place less of a burden on the few regular sellers. After all, everyone benefits the same whether they sell the Lotto or not and if we are not making money for the running of the club everyone will lose out! 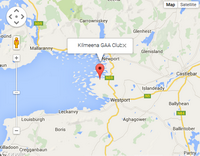 2014 has been a watershed year for Kilmeena GAA. Starting the year celebrating our 125th year in existence and finishing it as Mayo Club of the Year. Unprecedented success on the pitch for our underage teams and a fine league performance from our Senior players showed things are moving in the right direction on the pitch. 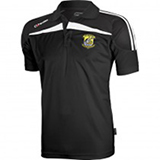 But there is a lot of work ahead to ensure we have a progressive, successful club for our parish. We have the people in place who are positive about the direction our club needs to take. This has been detailed in our 5 year Club Development Plan. With subcommittees set up to action this plan, and if more members of our community volunteer their skills, we can look forward to a very bright future for Kilmeena GAA.